When you need impartial and unbiased advice, and to get you the best rates on dreaded car and home insurance - you can count on Compare the Market. This insurance intermediary goes above and beyond your usual comparison website, scouring the online market for the best deals on a range of insurance products including energy, pet insurance, life insurance and travel insurance too. With different features and levels of cover to choose from, there’s so much choice out there and it’s a no-brainer to let Compare the Market do the legwork for you. You can find a plethora of guides online too, to help advise you when it comes to insurance services and policies. By comparing the prices of over 390 providers, going with Compare the Market will get you a cheaper rate than going straight to the service provider almost 88.39% of the time. Time is of the essence after all, and when you can get options to suit your needs and budget too - in seconds - you’ll understand the buzz around Compare the Market. With tonnes of member perks with Meerkat rewards - who knew that life admin, utility insurance, vehicle cover and more could be so rewarding? How do I use my Compare the Market discount code? Continue to the service provider’s web page to complete your transaction. Subscribe to the Compare the Market newsletter to stay in the know about special offers and much more from the market experts. How can I find a previous quote from Compare the Market? Simply log on to your account using the same email as used when searching for your quote initially. What can I purchase to qualify for a Compare the Market Meerkat toy? Take look at the Rewards’ Ts&Cs to see what products qualify for this very special freebie. How do I use a Meerkat Movies code from Compare the Market? Simply download the Meerkat Movies app or log on to your online account with Compare the Market to see participating cinemas. Initial quotes will be sent to you via email from Compare the Market, while your chosen individual service provider will email any policy details to you. To cancel and close your account with Compare the Market, get in touch via the support pages. Email service@contact-ctm.com or get in touch via Facebook messenger. 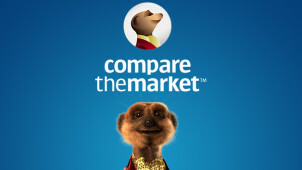 Compare the Market is one of the UK’s most loved price comparison websites. So if you want to suss out your options and compare the prices of a variety of products - make Compare the Market your one-stop destination. With a Compare the Market discount code, you can feel confident that you’re getting the best deal for a great price. Whether you’re after a mobile phone package, a new energy provider or in need of travel insurance - Compare the Market will do the legwork for you. You may be familiar with those cheeky Meerkats, and there’s more to love about them with the rewards they have for you to enjoy! This is Compare the Market’s way of saying thank you to its customers, with perks like 2 for 1 cinema tickets and much more. When you buy a qualifying product you can become a Meerkat Movies member and enjoy trips to the cinema for less, for a whole year. For a date night, to treat a family member or a friend – now it won’t break the bank! Compare the Market compares offers across a whole host of different insurance policies, and when it’s that dreaded time of year to find a new car insurance policy – we rely on the experts to get us the best deal! With a Compare the Market voucher code you can save yourself time and find yourself the cheapest deal on comprehensive, 3rd party cover and more. With options for young drivers, different vehicle types like 4x4s and much more – you’ll find the perfect car cover for you while you stay on budget too.